Now there is no denying that I have no desire to pretend that I am fascinated by all things Unicorn, like many (unless it's the new Starbucks frappuccino we all want our hands on). HOWEVER, some things are just too good to resist. Unicorn nails by Nails Inc. are everything. The dream duo featuring a rose shimmer and marble lilac bring our wildest fantasies to reality when it comes to a show stopping manicure. The range is completely over the top and completely unnecessary however brings experimentation into a whole new realm that is carefree yet far from understated. 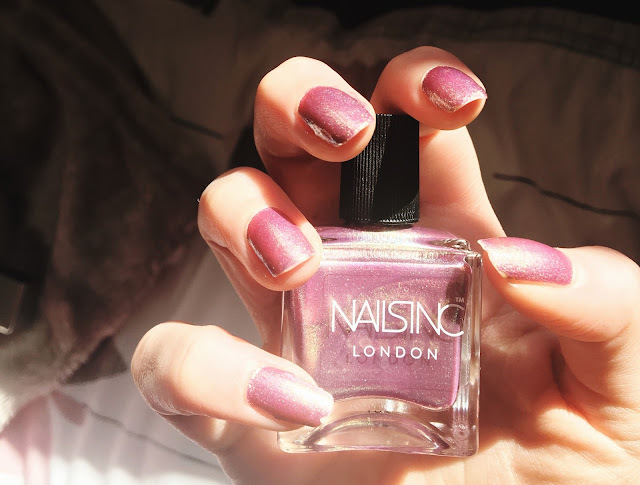 Nails Inc. are infamous for their reliable brushes and iconic bottles. 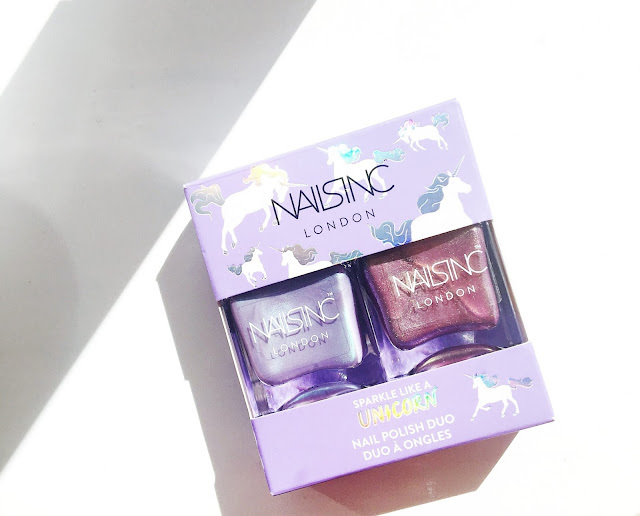 Their, 'sparkle like a unicorn' range combines one of our favourite nails brands with an idea that is fun and feisty. Not only do these colours apply like a dream but their colours change in every inch of light. The holographic presence of Dream Dust and Rainbow Wishes is complimented by its long lasting sheen and 3D pigment meaning reapplication is unnecessary. Whether worn together or individually these colours will never fail to impress. If you are seeking something dramatic, powerful and ultimately ravishing these are for you my darlings. After all Spring fling has begun, embrace it.